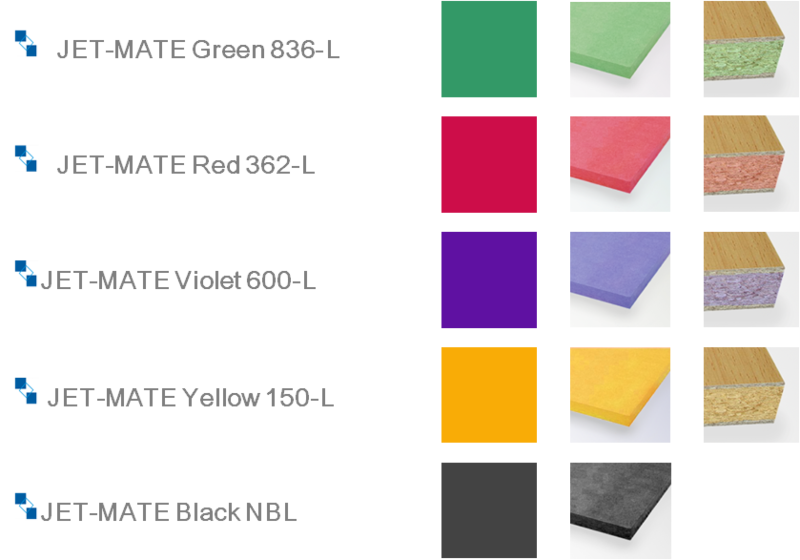 The JET-MATE Engineered Wood Product Colorants line exhibits high color strength and brilliance, great affinity to the wood fiber and excellent dyestuff yields. The product line is ideal for coloration of engineered materials such as MDF (Medium-Density Fibreboard) and PB (Particle Board) (for either identification or decorative purposes), yielding clean bright colors that can be color-customized to meet the client’s requirements. The shade cards shown are some of our most popular options.